A new approach to dairy farming using innovative LEAN management techniques and cloud-based software is being pioneered by a group of leading Dairy Farmers and Reaseheath College to improve the operational profitability and efficiency of the dairy farming sector in the UK. 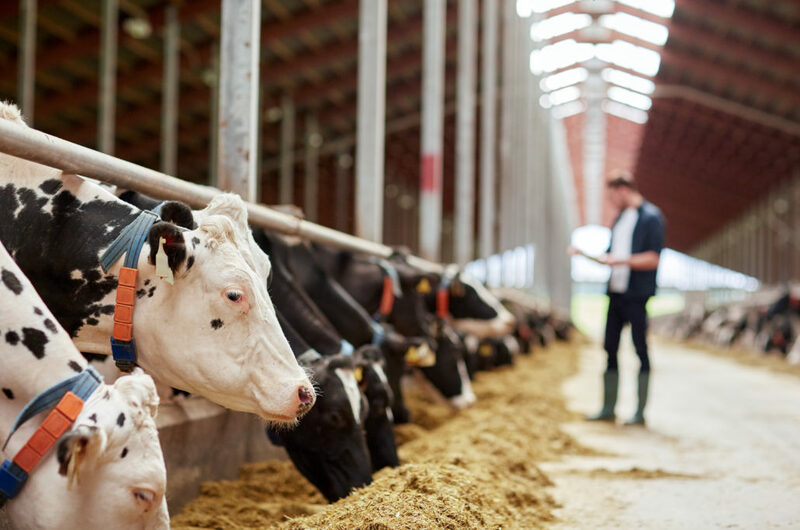 Reaseheath College secured European Innovation Project funding from the Rural Payment Agency, to work with dairy farmers and other industry partners to develop new integrated software platform. The platform will help the modern-day dairy farmer to analyse and use data to improve operational decision making. Using cloud-based software, developed by project partner Rare Earth Digital, farm performance data will be collected, analysed and converted to reports and live dashboards driving efficiencies. This software will support a farm management system that combines operational management information, essential performance monitoring and enable improved economic and environmental target setting. The project group led by Reaseheath comprises of the college, its commercial farm and four leading dairy farms based in Cheshire, with sites across the UK. Beginning in April 2018 the operational group has worked on developing and supporting the creation of the cloud-based software, which will be commercially tested as the project progresses in 2019. “In a time of increasing farming costs it’s essential that the farming sector seeks to develop precision and sustainability. The combined adoption of LEAN techniques and cloud-based data management will allow farmers to create constant improvements by adding value and reducing waste. “This is an exciting project that, despite complexities, will support the needed efficiencies in modern farming and now is the perfect time for the dairy sector to support this project. The project’s potential and its possible wider implications for other industries have recently been explored when the group’s high-profile dairy farmers, Reaseheath College and other industry partners recently visited colleagues and attended at LEAN management conference in Denmark. The visit involved talks from Danish LEAN farming consultant Susanne Pejstrup, supported by Phil Cooper, The Farm Consultancy Group. Click here for further information regarding the project and details on how you can get involved in its development.